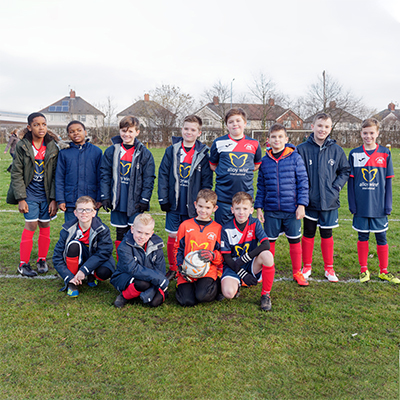 Alloy Wire International is, at its heart, a British company, and that’s why we’re very proud to announce our sponsorship of the Sedgley White Lions East U11’s football team! We are supplying the team with their very own Alloy Wire branded football kits, as can be seen being proudly demonstrated in their team photograph. Based just north of our headquarters in the West Midlands, Sedgley White Lions East play in the Stourbridge youth district. They were founded in 2017, and half of the team are new for this season. They are in good hands with Nathan Russon, the team’s manager, making sure they make the most of their talent. The idea to sponsor a local team came from our Operations Director Ian FitzGerald, whose son plays on the team. Even though Alloy Wire is a global company, we consider this a fantastic opportunity to give something back to our local community. We are excited to support our lads, and we wish the best of luck in their upcoming games!